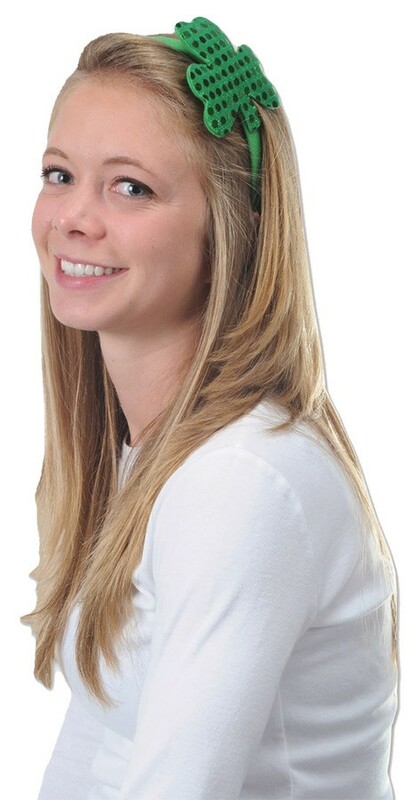 Our Shamrock Headband is just the accessory you need this St. Patrick's Day! Add our green and gold party beads to spice up your outfit! 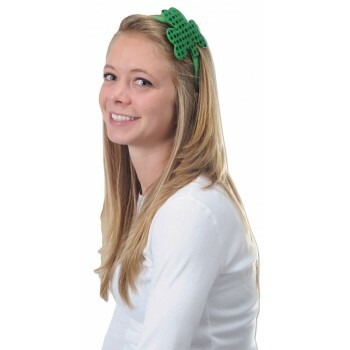 The Shamrock Headband is a green snap-on headband with a green sequined shamrock attached! Just the thing you need for St. Patrick's, parties, parades, and other fun productions and festivities!